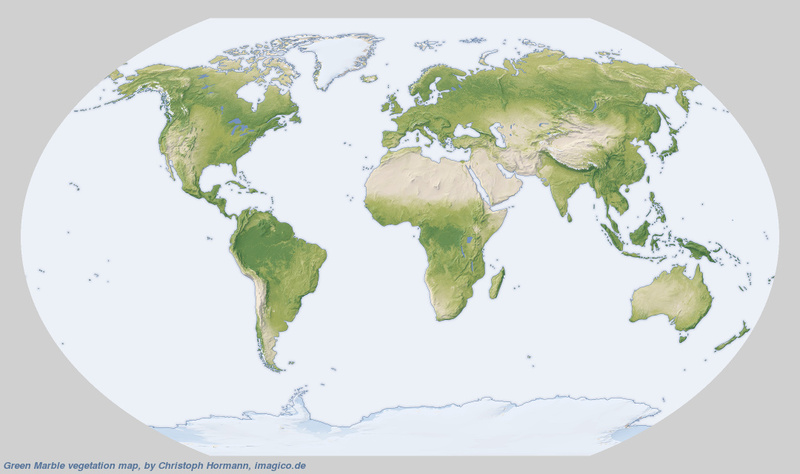 The Green Marble vegetation map shows the amount of vegetation cover, differentiated into woody and herbaceous plants, for every point on the planet. It is produced together with the Green Marble color mosaic and has the same basic properties. 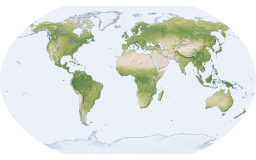 The map is available as a color rendering like shown in the examples or with raw values representing the fractions of the different types of vegetation which can be used for rendering with custom color schemes. For custom licensing you can obtain any other projection and size of course. For use in web maps i can also provide tile services.